Went to two Targets this week and nothing new, just wave one hangers, but I did buy another Action Jackson since I have more costumes for him. My local Targets look to have plenty of space for new 8" Megos, once they start to show up (hopefully Wave 4, not previous waves). 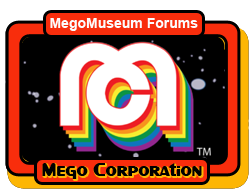 I do worry about the new 14" Megos showing up at Target though, as we have quite a glut of them, partially, I think, because of how unbalanced the distribution of them was. I saw the blue Batman once and evidence of him maybe twice, at two different Targets in two different cities. We got A LOT of the Flash/Joker wave though. I think I might have to go online to get 14" Aquaman and Black Manta (this all assuming Target is carrying the new 14"ers). Are they showing up at Target stores now? Was supposed to be March, I thought.